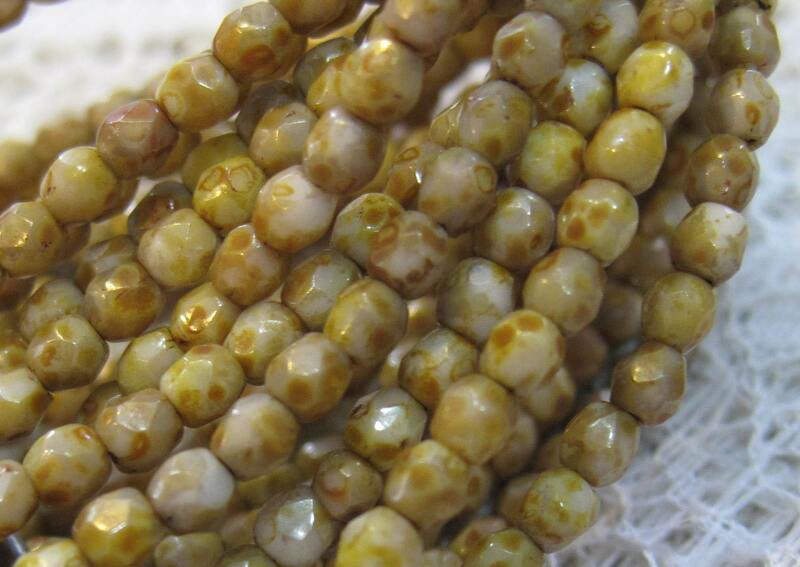 One strand of 50 champagne picasso stone look Czech fire polished crystal beads. These remind me of picture jasper! These beads measure 3mm. Add some sparkle to your jewelry creations!